winners of National Photography Contest announced! 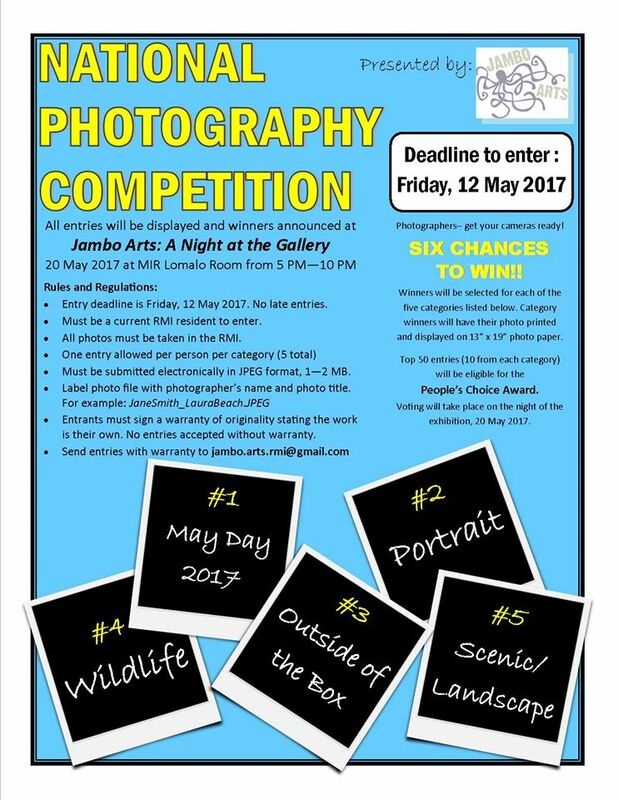 Deadline for entries is Friday, May 12, 2017. Entry deadline is Friday, May 12, 2017. No late entries. Must be a current RMI resident to enter. All photos must be taken in the RMI. Must be submitted electronically in JPEG format, 1 - 2 MB. Entrants must sign a warranty of originality stating the work is their own. No entries accepted without warranty. 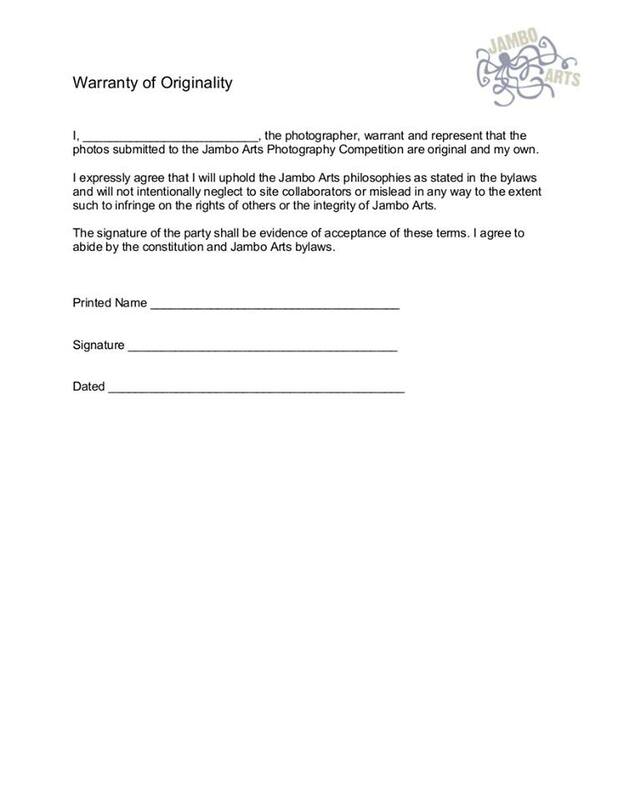 Category winners will have their photo printed and displayed on 13" x 19" photo paper. Top 50 entires (10 from each category) will be eligible for the People's Choice Award. 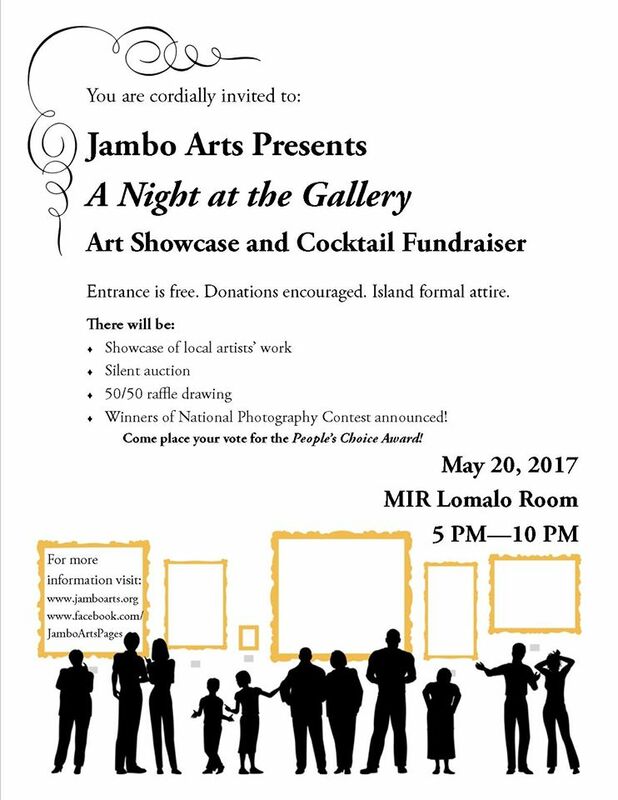 Voting will take place on the night of the exhibition, May 20, 2017.